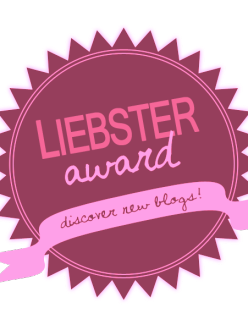 An award for upcoming bloggers with less then 2OO follower, a way for new and upcoming bloggers to gain a bigger audience and meet other bloggers. 1. If you could raid any celebrity's wardrobe, who's would it be? 2. Which high street shop is your favourite? 3. What is your favourite piece of fashion that you own? 5. When did you first start blogging and what do you feel you have achieved since then? 7. What is your favourite beauty product? 8. High street or designer? 9. Which season do you prefer to dress for? 10. How many blog followers would you like to have this time next year? I'm struggling to find 11 blogs I'm following with less then 1OO so I will update this asap! 1- Where would you most like to go on holiday? 2- If money was no object what would be the first thing you would do? 3- What is your favourite colour? 4- Whats your favourite season? 5- Do you have names picked for any children you may have? 6- If you could meet anyone from the celeb world who would it be? 9- Whats your favourite film? 1O- If you could only eat one thing for the rest of your life what would it be?